AC power in any electric circuit is the rate of flow of energy at a specific part of that electric circuit. As we all know, the electric energy flow from the generation side toward the consumer load side. But some part of this energy is bounce back to generation side and some part is completely utilized by the load. Electric power energy that oscillates between source and load is known as reactive power while completely utilized electrical power energy is known as real power. 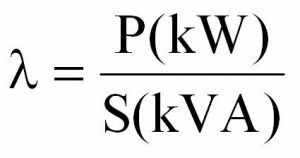 Both the reactive power and real or active or true power are related with the apparent or total power through the following figure. In this article we shall have detailed discussion on something that is very common for Electrical Engineers and you must know about it “Power Factor”. 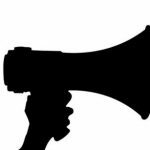 Here we will deeply examine what we actually mean by the term Power Factor and why it is so important in our field. How Power Factor and Harmonics relate to Energy Efficiency? 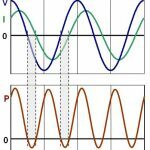 In an AC distribution system, the maximum active power is transmitted to a load when voltage and current are undistorted and in phase. 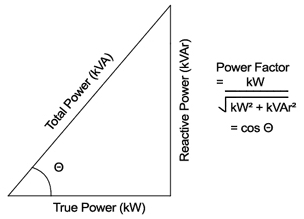 The definition of “Power Factor” relies on the definitions of “active power” and “apparent power”.